Let’s take a closer look at the Romantic Ballet Era and two of the great choreographers of romantic era ballet productions. This old and rare book can be purchased online and is invaluable for dance teachers and more advanced students or for anyone studying dance. There were two great choreographers of the romantic ballet era that stood out from the others. The one was August Bournonville and the other was Jules Perrot. Out of the two, Bournonville’s work has been preserved the most accurately and it is the best guide today of the style and quality of a movement that revolutionized choreography in the mid-nineteenth century. August was born in Copenhagen and trained there first by his father, Antoine and then by Galeotti. They were both pupils of Noverre. In 1820, he became a student of Auguste Vestris in Paris. Here he inherited the best classic traditions of the eighteenth-century French and Italian schools. Vestris was born in Paris in 1760 and was a premier danseur at the Paris Opera for thirty-six years and even partnered Marie Taglioni aged thirty-one at the time and he was seventy-five. He became the undisputed master and guardian of the best traditions of romantic ballet. It was during this time that exploration of all kinds of jumps were invented and unprecedented lightness was achieved with the female dancers through the new skill of dancing on pointe. The qualities of the Port de Bras (arm movements) were worked on to give the arms grace of movement. The French tradition was one of grace and style, epitomized in the ballets of Pierre Gardel, chief ballet master at the Paris Opera from 1787 to 1827. The Italians, on the other hand, contributed virtuosity in performance, the invention of steps and a more thorough academic approach to classical ballet. By 1820 many of the exercises and training methods were there already and the flowing empire line and new kinds of shoes had come into fashion. These costumes freed the body and feet for a much wider range of movement than was possible before. Filippo Taglioni started a harsher regime of training of six hours a day, which by 1832 produced in his daughter, Marie, the new image of ballet which has lasted to our own day. It was then that choreographers of the romantic ballet era like Taglioni, Bournonville, Coralli, and Perrot, gave the movement directions which have been passed through history. Bournonville in Copenhagen is unique for the balance he maintained between the male and female dancer, where all other choreographers of romantic ballet emphasized the woman at the expense of the man. Bournonville’s work has survived not only because of the isolation of ballet in Denmark but because all his ballets challenge male dancers as strongly as they challenge the females. To this day his choreography remains the basis of the style and school of Danish dancers. 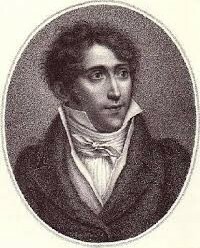 He became a soloist at the Paris Opera in 1826 and danced a season in London before returning to Copenhagen in 1829. Here he created his first ballet and was appointed ballet master soon after until 1877. In his half-century of life-work, he created the Bournonville style, based on the style of Vestris. It was evolved through methods of teaching whose principles are described in his technical notes, Etudes Choregraphiques published in 1861, and through the creation of thirty-six ballets and divertissements, a valuable group of which remain in the Danish repertory. These two were the joint creators of Gizelle and together in this ballet, they show all the ambitions and weaknesses of the romantic ballet era. Coralli (pictured on the right) was born in the early years of Louis XVI and trained at the Opera in what was then the best school in Europe. He never acquired distinction as a dancer, but he always aimed at choreography. In this, he displayed competence with occasional distinction as seen in Gizelle. He never showed that creative originality which distinguishes an important artist, but his strength lay in the arrangement of the corps dancers. He had a gift for knowing what the public enjoyed at a particular moment. Perrot, (pictured below) who was the son of a carpenter who became chief machinist at the Grand Theater, Lyons, began to study dancing there, then he worked in the boulevard theaters and the Porte-Sainte-Martin of Paris. Later through his own ambition, he became a pupil of Auguste Vestris, who instantly recognized his talent. Thus Giselle jointed two opposite talents – Coralli, by that time maitre de ballet en chef at the Opera, achieving through Giselle his small place in history, and Perrot, self-made, a natural theater man of enormous talent. Perrot loved the dancing of Carlotta Grisi, and she became the first Giselle. The ballet was written around her. 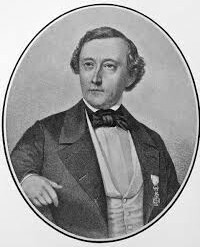 He left the service of the opera in 1835 after a disagreement with Veron, the director. 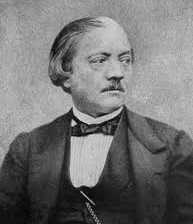 It was a great loss to the Opera, which became clear after 1841 when Perrot was ballet master at Her Majesty’s Theater, London, where he created most of his greatest works. I’ve really enjoyed reading this article as you’ve provided us with tons of valuable information on “The Romantic Ballet Era”. From my experience with ballet, I tend to think that the French and Italian are really good at it. Each country has it’s own talented activity, but ballet is something which is mastered especially by the French and Italians. 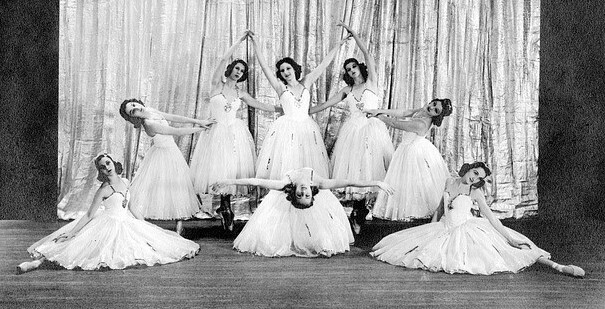 Do you think that the ballet back then was a lot more different than the ballet performed today? I think you left out the Russians, who played the most important role over the last two centuries. Ballet has certainly changed over the years. The movements have gotten broader and more modern and a lot of the smaller intricacies have been left behind in the past. Dancers now are also more athletic as we discover more and more things about how the body works. Going through your post made me now understand more about the birth of Ballet! I never knew all this and I once took a course in history. This is an educative post, I’m just getting to know that August is known as the father of the Danish ballet style. He was a strong dancer with excellent elevation and an accomplished mime. Thanks for sharing this interesting information as I have actually acquired some new Ballet knowledge. Glad you enjoyed the history lesson Labulo. This is a very inspiring and educative article, even though I am not a ballet teacher, I have always taken a liking to the dance and would have loved to be an active participant, but being on the chubby side has always made me shy away. I am really glad t have such insight into the amazing world of the Romantic Ballet Era. No reason you can’t go and try some dancing classes. We have adult classes for all sizes, as most people aren’t reed thin. I really enjoyed the way you outlined the story and showed a new perspective on the romantic ballet era. I actually read every word to see how the choreography started back then, I will definitely check back and visit your site because I can see you give such great and accurate information. Thanks for your great analysis and kind regards. I love history. Now this isn’t really something for me, but for my wife. She loves ballet and everything around it, so when I will show her this, she will be very interested to read it. I will tell you later what she said about it and what her opinion is. Thanks a lot for sharing this! Thank you, Emmanuel, and hope your wife enjoys the read.